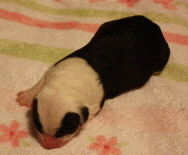 8 puppies - 2 girls and 6 boys -Born on September 25, 2009. 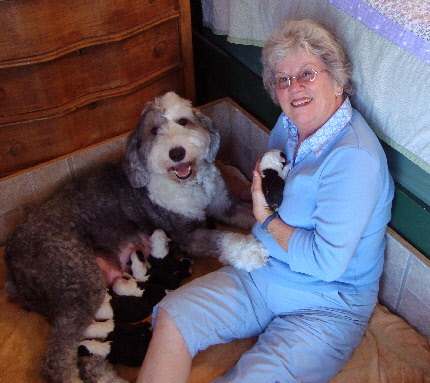 Dottie normally lives with Carol and Roger Van Parys, but she is at the maternity ward at Dea’s house, in Coulee City, Washington. Carol and Roger came to visit Dottie and her babies when they were 48 hours old. Below is a picture of proud mamma Dottie with even prouder mamma Carol! she keeps an eye on the babies round the clock! 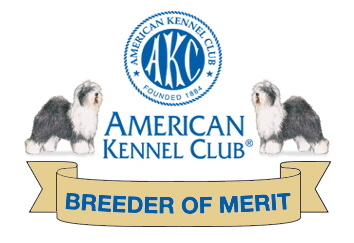 Click on Carol and Dottie’s Picture Below To See The Pedigree Of This Litter. It is Harvest time here in Eastern Washington, so we decided to name these kids all APPLE names. 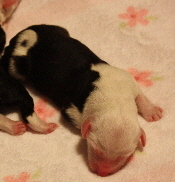 At left are the two girls, Honey Crisp on the right, and Granny Smith on the left. 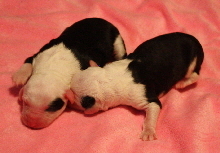 They were 12 hours old in this picture.